The Organization of American States (OAS) Friday released a ground-breaking report on hemispheric drug control that includes not only an assessment of the current state of affairs, but also looks at a number of alternate scenarios for future directions in drug policy, including explicit analysis of possible regulation and legalization regimes. The report comes even as the US military is expanding its drug war in Latin America.The military is deploying assets to Central and South America, and US military assistance in Latin America has quadrupled in the last decade -- even as the region faces no external and diminishing internal threats. The report, The Drug Problem in the Americas, was commissioned at last year's Cartagena Summit of the Americas, where a number of Latin American leaders led by Colombian President Juan Manuel Santos criticized existing drug policies and called for a discussion of alternatives. 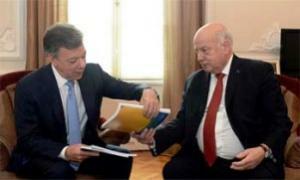 On Friday, OAS head Jose Miguel Insulza hand-delivered the report to Santos in Bogota. Prepared by researcher and analysts at the Inter-American Drug Abuse Control Commission (CICAD) under the supervision of the OAS, the report is divided into two discrete sections, an analytical report and a scenarios report. It is the scenarios report that addresses possible directions in drug policy, including the formal consideration of legalization and regulation regimes. The scenarios report envisions four possible (and not necessarily mutually exclusive) policy directions and how each scenario "understands" the drug problem, what the attempted response would be under that scenario, and the opportunities and challenges involved in acting on those scenarios. 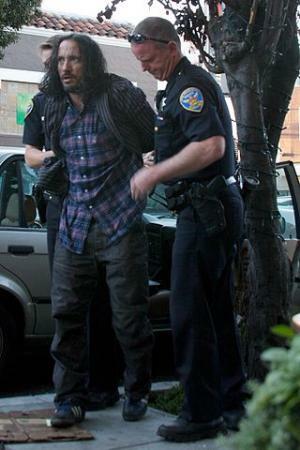 Two scenarios, "Together" and "Resilience," represent largely traditional responses to drug use and the drug trade, with calls for the strengthening of weak states and their judicial institutions or addressing underlying social problems and strengthening communities to fight violence and addiction, respectively. It is the other two scenarios, "Pathways" and "Disruption," that represent innovations in thinking at the policy-making level. In the "Disruption" scenario, the violence and instability created by the drug trade under prohibition is so severe that authorities "cut a deal" with traffickers in a bid to achieve social peace. This might, more or less fairly, be called "the Mexican scenario," given that previous Mexican PRI governments are almost universally assumed to have made such bargains with trafficking organizations, and given widespread speculation these days that the current PRI government may be considering something similar. In the "Pathways" scenario, CICAD "understands" the problem as "the current regime for controlling drugs through criminal sanctions (especially arrests and incarceration of users and low-level dealers) is causing too much harm." The response is "trying out and learning from alternative legal and regulatory regimes, starting with cannabis." The opportunities presented under the "Pathways" scenario include "development of better drug policies through experimentation, reallocation of resources from controlling drugs and drug users to preventing and treating problematic use, and shrinkage of some criminal markets and profits through regulation," while potential problems include "managing the risks of experimentation, especially with transitioning from criminal to regulated markets (including possible increases in problematic use), dealing with contraband, and new inter-governmental tensions that result from differences in regimes between jurisdictions." The report is being welcomed as marking a true advance in the drug policy dialog at the hemispheric and international levels. "The review explores what can be done in a post-drug war world," said Kasia Malinowska-Sempruch, director of the Open Society Global Drug Policy Program. "This report envisions a number of possibilities that will broaden the current debate on drug policy reform." "As part of the scenarios team, we worked to make it clear that another reality is indeed possible, that our countries can move orderly toward regulated drugs markets, and that there are possibilities to achieve better results," said Lisa Sanchez, coordinator of drug policies at the Transform Drug Policy Foundation and Mexico Unido Contra la Delinquencia, who worked on the report. "It is clear that the state should no longer ignore its responsibility to guarantee the health and security of all its citizens, and to do this, it needs to regain control over the drug markets which are currently illegal." "While leaders have talked about moving from 'criminalization' to 'public health' in drug policy, punitive, abstinence-only approaches have still predominated, even in the health sphere," said Daniel Wolfe, director of the Open Society International Harm Reduction Program. "These scenarios offer a chance for leaders to replace indiscriminate detention and rights abuses with approaches that distinguish between users and traffickers and offer the community-based health services that work best for those in need." "This is the beginning of an international conversation on a new approach to drugs," said David Holiday, senior regional advocacy officer for the Open Society Latin America Program. "We can hope this will move policies from those currently based in repression to strategies rooted in public health and human rights." That international conversation on drug policy will get going next week, when the OAS report will be presented and discussed at the bi-annual CICAD meeting in Washington, DC. Two weeks after that, the report and discussions over drug policy in the Americas will be the main agenda item -- "Toward a comprehensive anti-drug policy in the Americas" -- at the annual session of the OAS General Assembly, which is attended by foreign ministers in the region. Advocates are hoping that these regional discussions will also be taken up at the 2016 United Nations General Assembly Special Session on Drugs. "Never before has a multilateral organization engaged in such an inclusive and intellectually legitimate analysis of drug policy options," said Ethan Nadelmann, executive director of the Drug Policy Alliance. "Indeed, it would have been inconceivable just two years ago that the OAS -- or any multilateral organization -- would publish a document that considers legalization, decriminalization and other alternatives to prohibitionist policies on an equal footing with status quo policies. Political pressures by the US and other governments would have made that impossible." But much has changed in just the past few years, Nadelmann noted. In 2009, former presidents Fernando Henrique Cardoso (Brazil), César Gaviria (Colombia) and Ernesto Zedillo (Mexico) joined with other members of the Latin American Commission on Drugs and Democracy in saying the time had come to "break the taboo" on exploring alternatives to the failed war on drugs. In 2011, those presidents joined with former UN Secretary General Kofi Annan, former U.S. Secretary of State George Shultz, former Federal Reserve Board chairman Paul Volcker, former Swiss President Ruth Dreifuss and other members of the Global Commission on Drug Policy in calling for fundamental reforms to national and global drug policies. Former presidents Jimmy Carter, Ricardo Lagos (Chile), Vicente Fox (Mexico) and Aleksander Kwasniewski (Poland) were among those who seconded their recommendations. Late that year, sitting presidents began to join the calls of their predecessors. These included President Santos in Colombia, Otto Perez Molina in Guatemala, José Mujica in Uruguay and then-President Felipe Calderonof Mexico. Simultaneously, the victorious marijuana legalization ballot initiatives in Washington State and Colorado transformed a previously hypothetical debate into real political reform. Other states will almost certainly follow their lead in coming years. "The OAS scenarios report thus represents the important next step in elevating and legitimizing a discussion that until a few years ago was effectively banned from official government circles," Nadelmann said. "It is sure to have legs in a way that few reports by multilateral institutions ever do." A report to encourage, inform and guide the debate! 3. It is as a document with enormous pedagogical value. By putting the arguments and counter-arguments out in the open for all to see, the study provides an accessible, highly readable starting point for understanding the main issues, and should be used to encourage, inform and guide the debate on alternative drug policies. As a European citizen I have to say I find Europe’s lack of support/silence/absence from the debate utterly disgraceful. 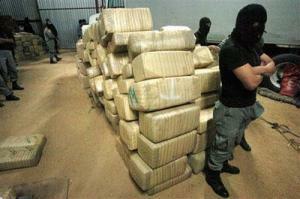 It is urgent Europe take note and support LatAm call for alternative drugs policies without hesitation or ambiguity. I say it is time we show some courage!